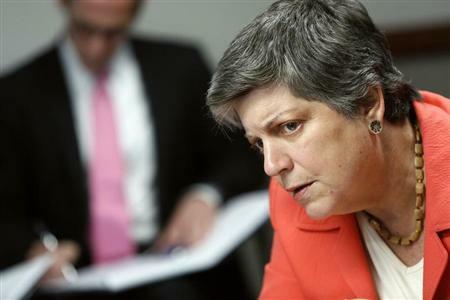 Homeland Security Secretary Janet Napolitano announced Friday that she is resigning her post to become the next president of the University of California system -- the first woman to hold the post in its 145-year history. The Los Angeles Times first reported the news. The Times quoted unnamed officials as saying that the UC regents were set to approve her nomination next week, and that she would take the position in September. Obama praised Napolitano’s “outstanding work” in his Cabinet in a written statement. He gave no hint of whom he might consider nominating to succeed her.